Capacity 2.5 - 4 oz. Control portions in your business with ease by using this Vollrath 5292920 4 oz. 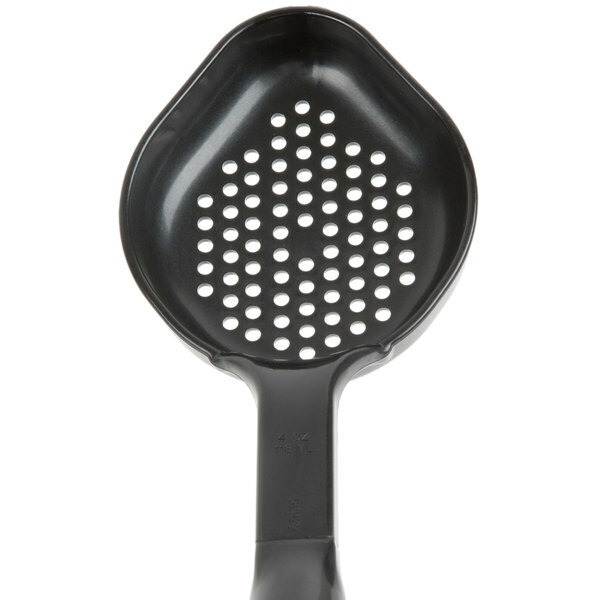 perforated oval Spoodle® portion spoon! 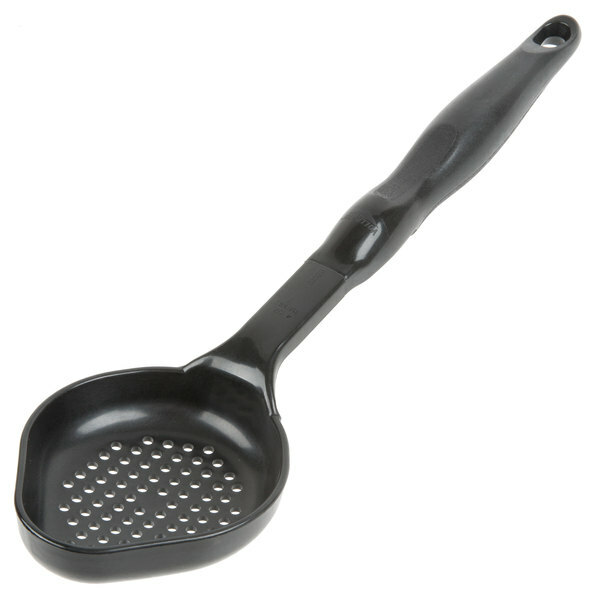 Perfect for creating consistent serving sizes and dishing up just the right amount of dips, dressings, sauces, gravies, and sides, this kitchen staple combines the convenience of a serving spoon with the accuracy and consistency of a ladle.The perforated scoop is particularly ideal for straining foods to ensure an attractive presentation every time. Practically designed, this spoodle features a built-in stopper notch to prevent the handle from sliding into food pans when not in use. 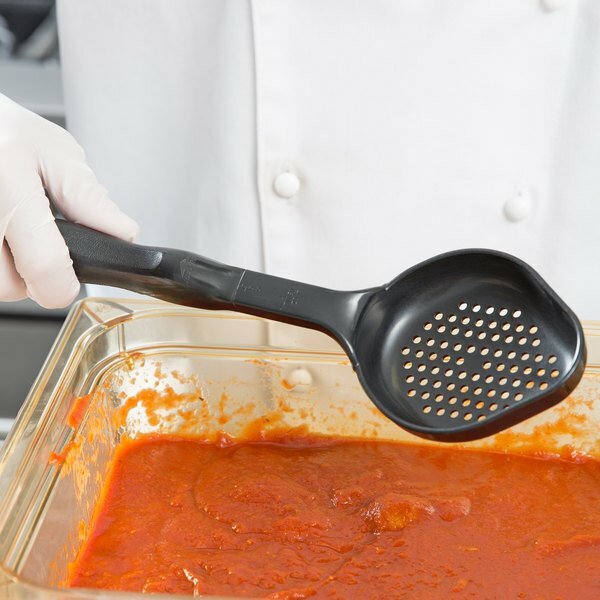 The oval shape of this scoop is designed to reach food pan corners, ultimately reducing waste and increasing the number of servings per pan. 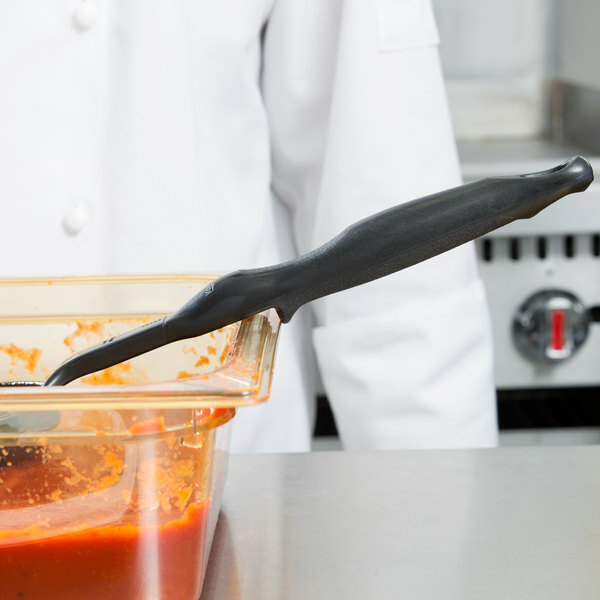 With a one-piece construction this utensil is not only very durable, but it also doesn't have pesky crevices that tend to collect water and bacteria, thus promoting a more sanitary serving process. 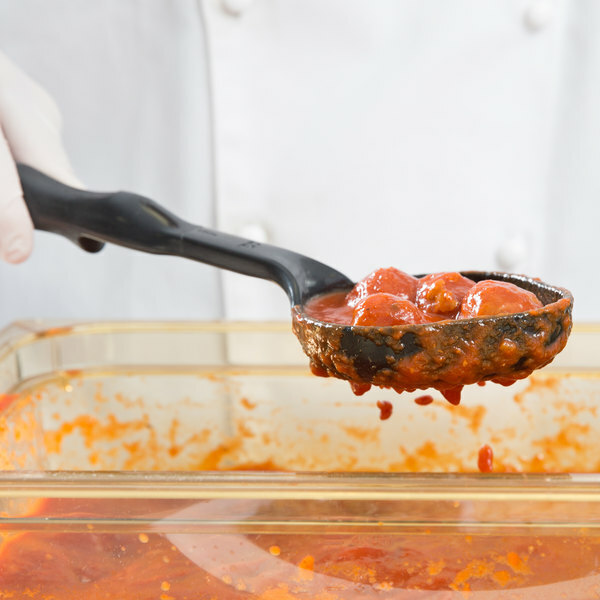 The nylon material is heat resistant up to 475 degrees Fahrenheit for excellent versatility while serving both hot and cold foods in your kitchen or at your catered event. 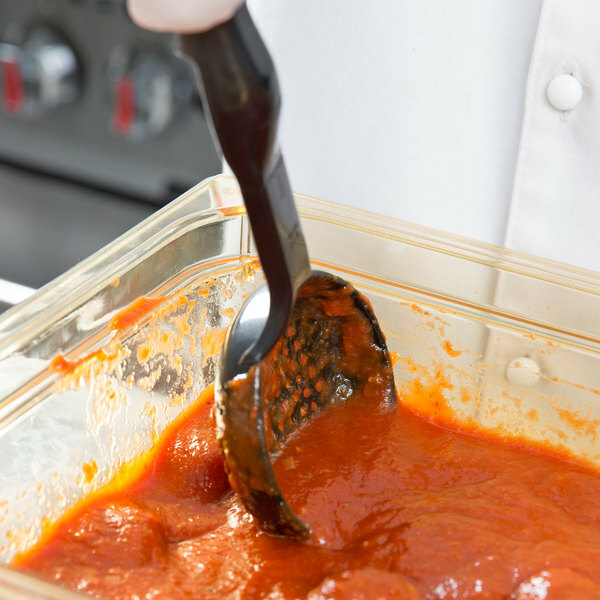 Nylon is also ideal for non-stick pots and pans and will not scratch or mar the surfaces of your cookware. You can clearly see the 4 oz. 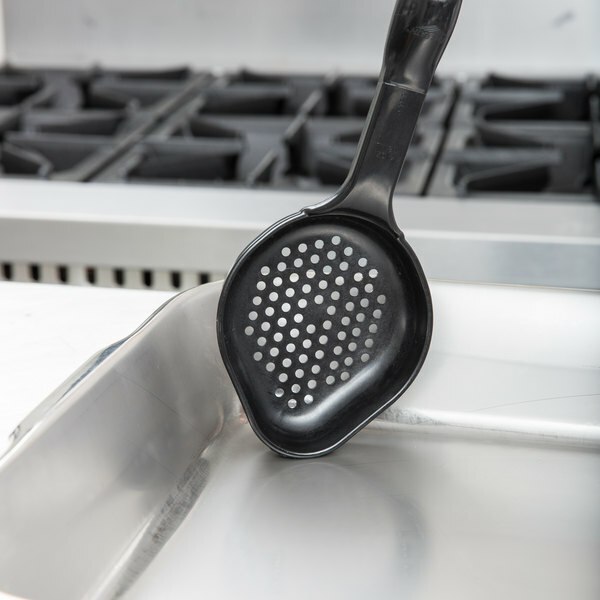 measurement stamped on the handle for quick and easy identification, making this spoodle an efficient addition to your commercial kitchen. 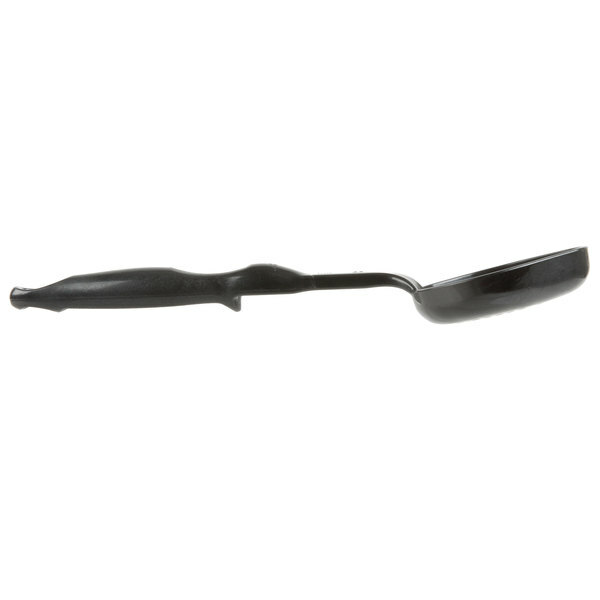 Great spoon for use in a steam table without worrying about the handle getting hot if someone leaves it in. 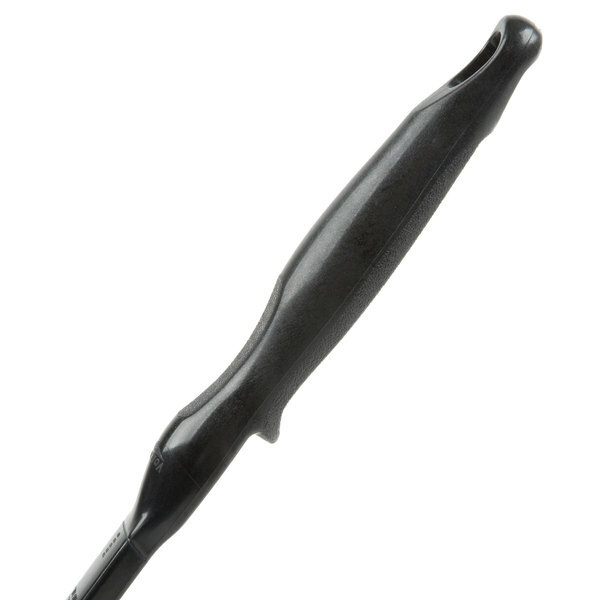 Shape is great as it works like a spoon but pointed so you can get into the corners. This Vollrath four ounce high temp perforated oval nylon spoodle is exactly as I expected. I primarily use this for side dishes like green beans and corn, to prevent too much liquid. Very durable and would recommend. 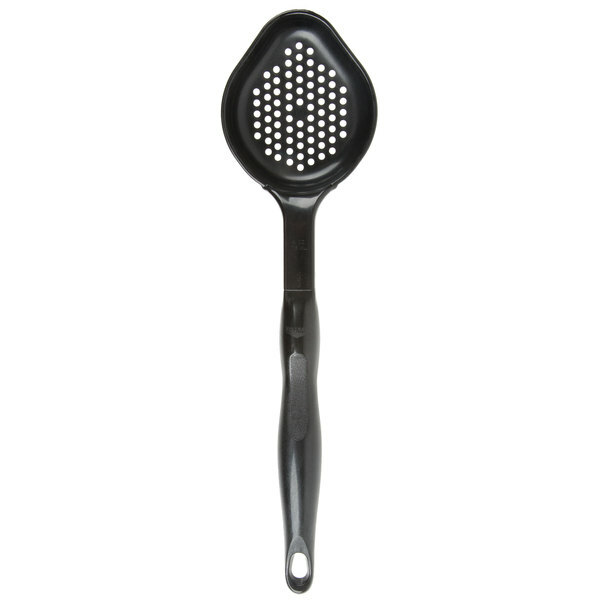 We liked the non perforated one so much we bought this one as well...Perfect for scooping vegies out of the pan edges. We like the quality of Vollrath products. . Loved this spoodle! 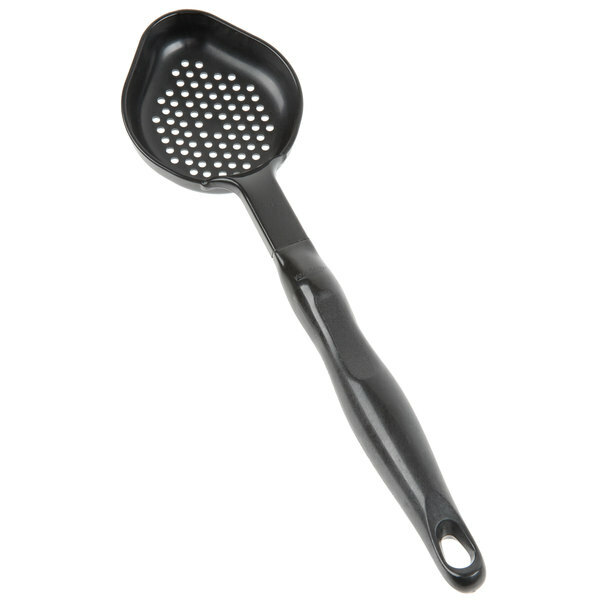 Great for fishing out foods in juices. And unlike other spoon type items it does not melt. Wish they use this material on other items in the kitchen! 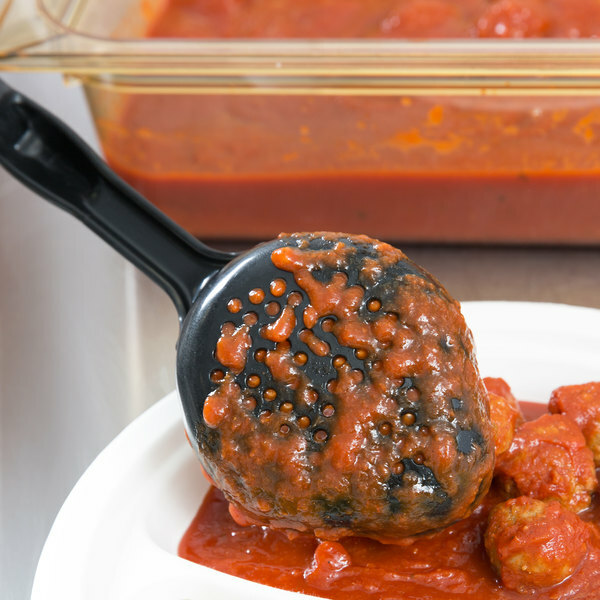 I usually use a slotted spoon to strain cooked meat. I bought this spoodle and it works great and the meat stays contained in the spoon.